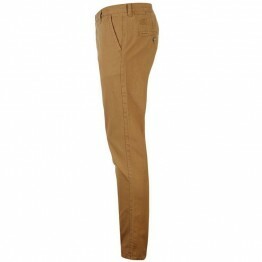 Kangol férfi chino nadrág Get a classic look with these Mens Kangol Chino Trousers which come in a straight leg design, offer wonderful comfort and freedom of movement. These mens chino's have a button fly and fastening and there are five pockets so you can carry all your belongings with ease. ..
Airwalk Woven férfi nadrág The Airwalk Woven Jogging Pants combine classic cargo pant design with casual jogging bottom features, with a button fastening waistband, zip fastening fly and ribbed ankle cuffs for a closer fit. 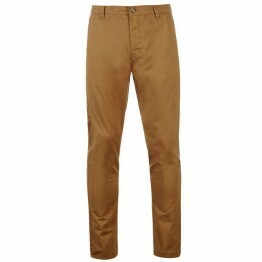 Crafted from a woven cotton that is comfortable and durable, they have four..
Dale Colin Chinos by Jack and Jones Core > Chinos > Button fly fastening > Twisted seam stitching > Five pocket style > Signature branding > Jack and Jones branding > 65% polyester 35% cotton > Machine wash at 40 degrees > Maximum shrinkage 5% > Keep away from fire ..
G-Star Valdo Chino Mens These Chino by G-Star come with a button fly and a four pocket design for a great look, they also feature G-Star branding for an on trend styling. > G-Star mens Chinos > Button Fly > 4 Pockets > G-Star branding > 97% Cotton 3% Elastane > Machine Washable at 40 degrees ..
Kangol férfi chino nadrág Get a classic look with these Mens Kangol Chino Trousers which come in a straight leg design, offer wonderful comfort and freedom of movement. These mens chino's have a button fly and fastening and there are five pockets so you can carry all your belongings with ease. > ..